1 pair of waraji (straw sandals) : barley straw ; 9.5 x 3.25 in. 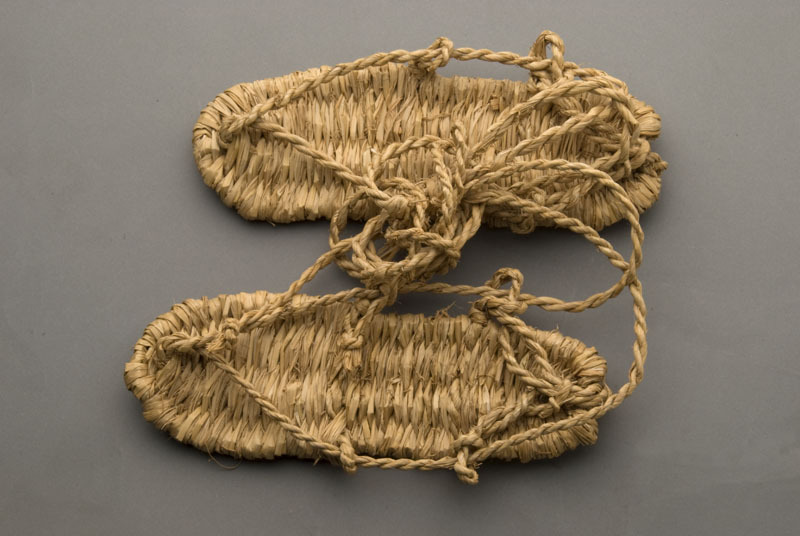 Pair of waraji (traditional Japanese-style straw sandals) composed of woven natural barley straw. Long thong straps extend from toes thru two loops on each side of foot and one at back of heel and are secured around calf. Two pieces: right (A) and left (B) side.